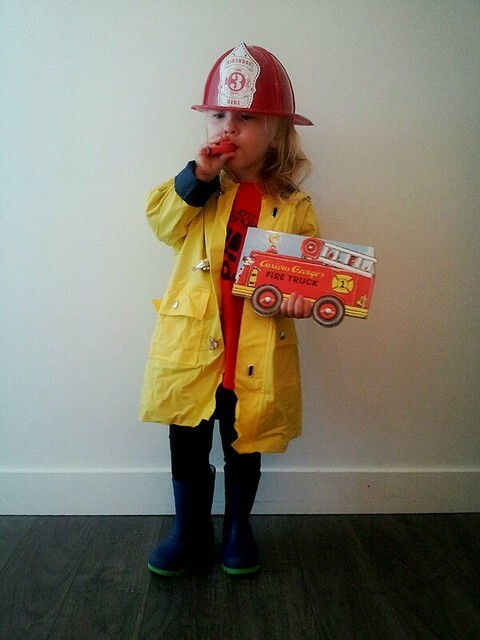 I have a toddler that is obsessed with all things firefighting. She has been for over a year now. It’s serious. She has made her own fire extinguisher out of craft supplies, she watches combat competition videos on Youtube, she points out every hydrant, standpipe, valve, alarm, sign and fire truck that crosses her path. She maps out evacuation plans in every building we enter. And most importantly, we visit fire stations to talk to firefighters. Often. Whether you call them fire stations, houses or halls (we call them stations where I come from), these buildings are EVERYWHERE. There are likely several in your community, and at least one within walking distance of your home. If you have a “Jr. Firefighter” like I do, a visit to your local fire station is inevitable. Go prepared. 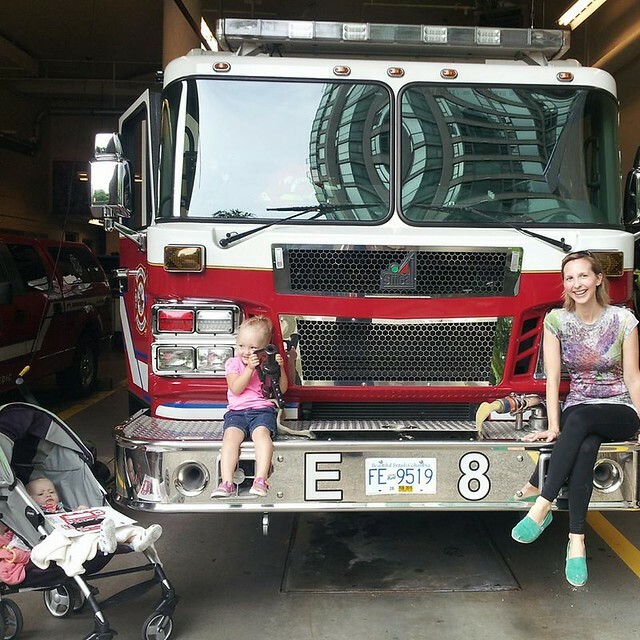 Since we’ve now visited several dozen fire stations in multiple cities across North America, I’ve created a list of tips for parents and kids to get the most out of a visit to a fire station, whether it’s your first or twenty first visit. Make a thank you card for the firefighters. Going under the pretense of thanking the firefighters for their service to your community gives the trip more purpose and teaches your child about the value of civil service. 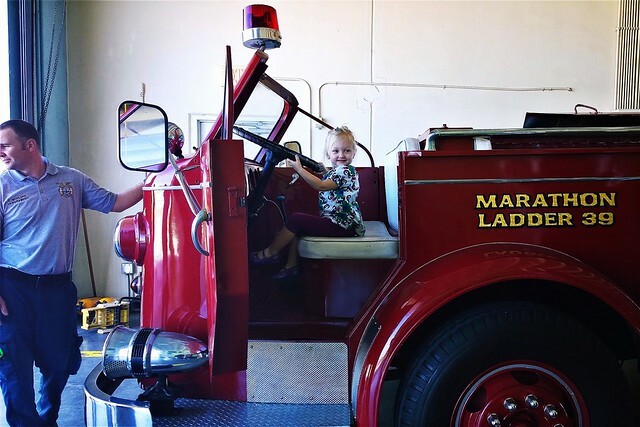 While fire stations are open 24/7 (for obvious reasons), they generally prefer hosting little visitors during daylight hours. Call ahead to the station you wish to visit to get a feel for when they would prefer you stop by. Warn your child that if the firefighters get a call before you arrive or while you are there, they will have to leave the station and not be available to visit with you. Be flexible to visit later if you see there are no trucks in the bay. Wear your favorite firefighting gear. My daughter has several fire truck shirts, a chief hat and various costume pieces she wears when she visits fire stations. Plan to spend no more than 15 minutes in the station on any one visit. It’s a place of business, so they must stick to a schedule. 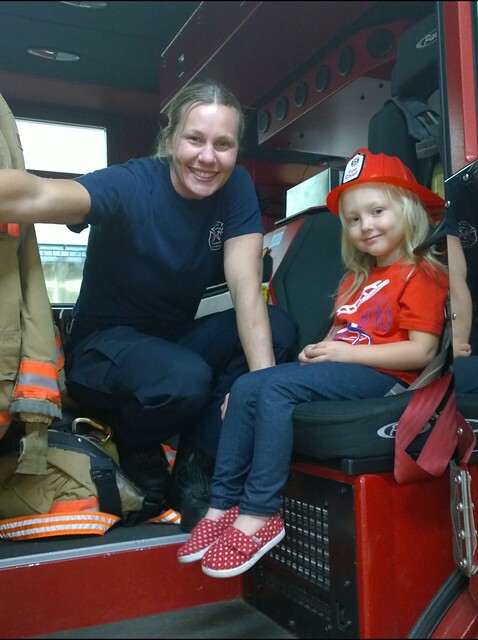 Prepare a list of 3 or 4 questions for YOUR CHILD to ask the firefighters so he/she can learn something new on each visit. 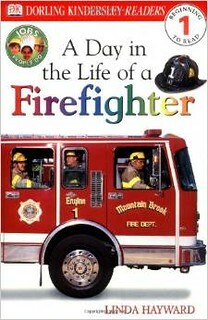 Your child can also bring one of the library books to look at with the firefighters and ask any questions you have about what you see or read in the book. By having your child communicate directly with the firefighters builds public speaking confidence and a positive relationship with civil servants. My daughter has talked to dozens of firefighters and they have ALWAYS been incredibly awesome with her. The usually squat down to look at her in the eyes and she has gotten very comfortable talking with and learning from them. Does this station have an ambulance? If I got hurt and you needed to take me to a hospital in the ambulance, which hospital would you take me to? May I see the inside of the ambulance so I know what to expect if I ever have to ride in it? If you visit frequently, you can learn the names of the crew members (see my Final Tip below on how to address firefighters by name) so you can have more social follow-up conversations like learning where they went to fire school, what they do for exercise during off hours, etc. What are your most common calls – fires, injuries, people getting stuck, etc? What are ways I can stay safe so I don’t need to call 9-1-1? Does your fire station have a pole? (Ask gently if someone will demonstrate, but be prepared for a “no” since some find it annoying to use the pole). How old is this fire station? Do you have old pictures of the building? (Some have pics of when the trucks were pulled by horses which is cool). Any interesting facts about this particular fire station or crew? Do you have a fire dog/boat/helicopter at this station? What is the newest or coolest piece of equipment you have in this station? As you leave the station, while everything is still fresh on the brain, talk to your child about things they saw that were new or interesting to direct future learning. 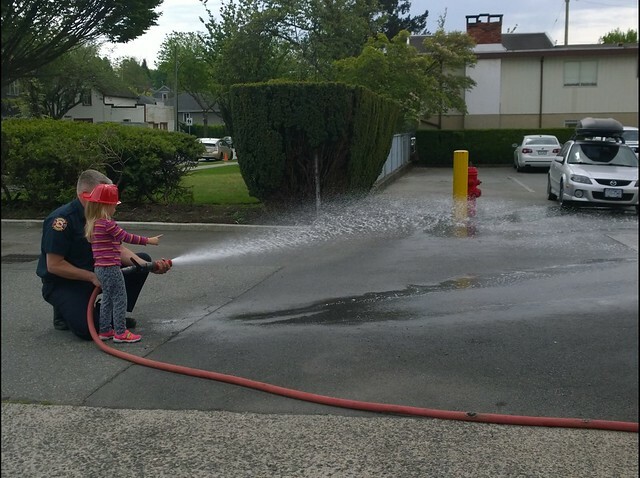 For instance, at one station, my daughter was allowed to hold a fire hose and spray the parking lot. Afterwards, she wanted to learn more about the specific nozzle she operated so we went home and looked at Youtube videos demonstrating the nozzle and we even found one video of the factory MAKING the nozzle. Respect that the fire station is a place of business and that while they welcome little visitors, they really can only take about 10 minutes to host you. If the bell rings and they have to take an emergency call, you must get out of the way immediately and let them take off on in the truck. The excitement of the call is usually enough to distract little ones from the fact that the tour got aborted, but mitigate melt-downs by explaining ahead of time that emergency calls take top priority. Don’t harass your local station. If it were up to my toddler, we’d visit our neighborhood station (only a few blocks from our home) daily. We limit in-person visits to once every two weeks, and just wave at the station as we walk past in between visits. If any of the firefighters are out in the driveway as we walk past, we stop for a quick hello, but not for a full visit inside. If your child wants to learn the names of the local firefighters, be sure to ask how they wish to be addressed. Office titles are hard to achieve, so should be respected. Address a Lieutenant or Chief as such unless they say otherwise. Remember that firefighters are there to help you, so if you have any questions or concerns about personal or property safety, ask! They have great information that will reduce your likelihood of actually having an emergency. The goal is to get the info during friendly visits so you don’t ever have to call them in a crisis. I love seeing/hearing about children with a deep desire for a profession. My grandson loves how things are made and will watch/read anything he can find..
Allison, You have a very intelligent and motivated little girl. If she does not choose firefighting for a career, she will most certainly be a conscientious worker in whatever field she chooses. Thank you so much for the detailed questions and instructions you gave so that potential small visitors to firestations would be prepared for such visits. Fire station visits are always a fun time, and a great learning experience! OMGosh, this is awesome! 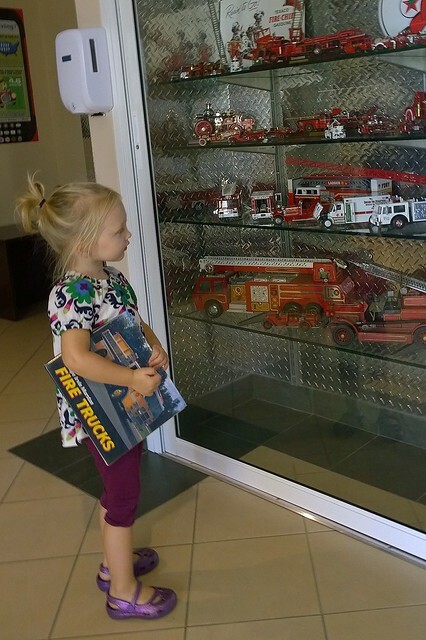 I love that you have a little girl who loves all things firefighting!!!! Love it… Thank you for this guide, its really thorough and comprehensive. Those are amazing pics… I have a great friend who worked really hard, as a woman, to qualify and become a firefighter; maybe someday I will see your daughter do the same thing. 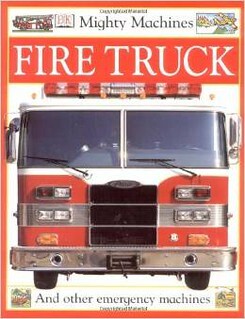 This morning there are some folks from the local fire station bringing a truck to the school we attend for playgroup…..gonna be a great morning! My boys had a school trip to the fire station and they just loved it!!! It was an excellent learning experience for them. Great tips. I didn’t know fire stations were open to the public but have always known the firefighters to be extremely friendly and helpful during local event days. What an awesome learning experience for the kids!!!! !